I haven't seen "Noah" yet. I already know one thing about it, however. It's absolutely nowhere near the best acting Russell Crowed has ever offered the world of Theology. Thanks to James Smith, I learned of this fantasic film. I'm happy to see that Anthony Le Donne allowed Russell's friend in this video to borrow his jean shorts. Over the weekend, Christopher Rollston, currently a Visiting Professor at Tel Aviv University and next year taking up a post at George Washington University, posted a treasure trove to his Academia.edu site. By trade, Christopher is an epigrapher and archaeologist, as well as a Hebrew Bible/ANE specialist. He is one of the true gems in biblical scholarship and cognate disciplines, as he is an even better human being and friend than he is a scholar, and that's saying something since he is a recipient of the Frank Moore Cross Award for this book, one of the new BASOR editors (with Eric Cline), and author of some of the most erudite scholarship you'll come across. Christopher and I have some shared roots, but I first came across his scholarship in my study of ancient Israelite and Jewish literacy. His interests and areas of expertise spread far and wide, though, and I'm excited to say that he'll be presenting a paper on "The Rise of the Satan in Early Second Temple Judaism" at our upcoming conference at the Centre for the Social-Scientific Study of the Bible on "Evil in Second Temple Judaism and Early Christianity." That treasure trove I mentioned? It's his syllabi. There's everything there from an introductory course on the Septuagint to a course on Second Temple literature to introductory courses in Sahidic Coptic, Aramaic, and Akkadian! The internet is incredible. After this semester, you'll have to pay fees at George Washington University if you want to study with the Real McCoy, but you can have a version of the student experience for free thanks to Christopher's posting of these documents to Academia.edu. In a post yesterday, Michael Halcomb drew attention to Michael Thate's argument that the contributors to Jesus, Criteria, and the Demise of Authenticity are really just forwarding a program that is the criteria of authenticity in drag. I first saw Thate's study at SBL this past year and was excited to start reading it. Unfortunately, I was quickly disappointed in his assessment of Demise, and me in particular, because I didn't, and don't, feel that we were accurately represented. I'm still going to finish Thate's book, which is a social history approach to "memory" in Jesus work. I'm sure it's important and it seems promising. He's a very interesting writer, but I'll mention just a few things that led to my disappointment. Thate employs the Derridean term of "outbidding" to contextualize our opposition to previous historical Jesus methods (13). I suppose this is true, but I'm not entirely sure what form of critical scholarship that entails disagreement with what-has-gone-before wouldn't qualify as "outbidding." In a footnote on the same page (13n.86), Thate says regarding "post-criteria historical Jesus research": "Later Keith attempts to mitigate the mounting suspicion one has while reading his chapter by stating that a 'post-criteria quest for the historical Jesus is not a post-critical quest' (p.205). It is not clear to me how this can possibly be the case given his lack of explication of what this might mean and how 'post-criteria' yet still critical engagements functionally differ from the post-critical convictions of say, Kaehler and McKnight." He then proceeds to cite two publications of mine, a ZNW article and my monograph, Jesus' Literacy, but no pages for either. I have no idea what Thate's "mounting suspicions" might be, but it sure seems that he's insinuating that I'm not being honest when I say that a post-criteria quest is not a post-critical quest. If this is the case, I can only say two things. First, I think it's more professional to stick to someone's argument instead of what one suspects his or her motives to be. Second, I really meant it when I said that a post-criteria quest is still critical, as I have argued both for and against the historicity of aspects of the gospels based on a post-criteria approach, which brings me to my next point. I'm particularly confused by his statement that I haven't given an explication of what post-criteria Jesus research might look like in light of the fact that he then cites two of my publications wherein I do precisely that. One can argue about whether I am convincing, but I don't think it's up for debate whether I at least have made the effort. Other scholars, at least, have not missed this. For example, I quote Christopher Skinner's review of Jesus' Literacy: "In my estimation, the WHAT of this book is not as important as the HOW. Here’s what I mean: Keith’s research topic (viz., did Jesus hold status as a scribal literate teacher?) is likely not as earth-shattering as some other questions we could ask about the historical Jesus (though I do believe he has demonstrated its importance relative to other questions). Rather, the strength of what Keith has done in this book is that he has provided us with a very good model of how to do responsible Jesus research on a specific issue using a social memory approach. Aside from his conclusions (which I think are plausible), I believe that the employment of his method is the greater contribution of the book." I'll add that Dale Allison's foreword to Jesus' Literacy notes similarly that the book as a whole is an effort to make judgements about the historical Jesus sans criteria of authenticity. Again, I could be completely wrong in my arguments, but I have at least made an effort to show examples of what post-criteria Jesus research could look like. I suppose the oddest statement for me is on p.17: "Though certainly promising on many counts, the purported 'post-criteria' approach adopted here cannot escape the erotics of 'authenticity' or the gaze of the originary. This is a Quest for the pure genre; the authentic genre; the real genre. As such, this amounts to little more than the criterion of authenticity in drag." Hmmm. Alrighty then. As to the "erotics" and "drag" comments, I think this is a very strange way to sexualize one's interlocutors and I don't really think I have much more to say about that. I am confused further, though, that Thate seems to think we have simply redressed the criteria of authenticity. Speaking for myself, I think that he is discussing a different "authenticity" than I am. I mean it specifically as the New Questers defined it--bits of the past detached from interpretive frameworks. I don't think such a thing ever existed; so I certainly have not tried to redress it or apply it at a generic level, and I note that Thate provides no example where I have called upon a criterion of authenticity and cites no example to demonstrate that any of the contributors "cannot escape the erotics of 'authenticity.'" I guess he means that we're still interested in "authenticity" in some way, but again, for me, I'm dealing with a very specific type of "authenticity" and one that's not possible in my opinion. And to my knowledge, not a single contributor to Demise ever makes any reference at all to an "authentic genre." I'm sure I'm misunderstanding something here and I'm open to correction. But I can't help the sense that I've been misrepresented, and at least join company with Dale Allison who, as Thate notes on 217n.235, also believes Thate had not understood him. I should emphasize that I raise these issues mainly out of disappointment in light of the fact that the book shows great promise. I think Thate's book could be very important, and I use the subjunctive there only because I haven't read it all yet. Maybe I've misunderstood his misunderstanding, however, and I'd welcome clarification. is both obvious and unfortunate. There are mistakes scattered throughout the book. I’d say 1/3 to 1/2 of the pages in my copy have bright yellow large question marks on them, where (when highlighting) I found factual errors, misstatements, dubious claims, inconsistencies of logic, and so on. Evans writes that "Zealot is riddled with errors, probable errors, and exaggerations." Ehrman and Evans might seem like Montague and Capulet when juxtaposed in debate, but what insiders know is that they have much more in common than not. Both know the field, have mastered the material, and acknowledge the limits of historical reconstruction. What neither Ehrman nor Evans has done—because they do not have to and because it would be inappropriate to do so—is attempt to discredit Aslan based on his religious investments. I'm taking a break from all things Jesus here on the blog in order to observe that, folks, the great state of Kentucky might explode this week with the upcoming UofL versus UK Sweet 16 matchup in the Big Dance. In the very least, the call-in shows are bound to be fun. I am sometimes asked by people not from Kentucky whether I cheer for UofL and UK since I am from, well, Louisville the city and Kentucky the state. Much has changed for me as my life took several turns I never expected. I've learned to appreciate things that I laughed at when I was younger, like foreign languages, Pearl Jam, and The Cure. My accent, though still very noticeably Southern, has softened considerably from having married a Northerner and having not lived in Kentucky for the past 15 years. And I've even learned to like guacamole. I know. It's been a wild trip. 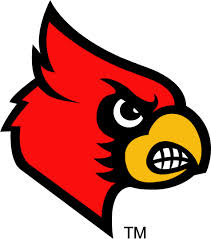 One thing has never, ever changed: I love the University of Louisville Cardinals and I hate the University of Kentucky Wildcats (not genuine hate, of course, just sports-rivalry hate). Now I have many, many good friends who are UK fans and we get along fine. I even have some family members who cheer for UK and have degrees from there. I love them, because I have to love them. And what's more, I lived in Lexington for a brief stint. But the question of whether I cheer for UK because I'm from Kentucky is absolutely absurd and a question that only an outsider would ask, and my UK-cheering friends and family would agree with this, I think. I can speak confidently for both groups when I say that UofL and UK fans do not cheer for the other team . . . AS A RULE. My friends from North Carolina tell me that something of the same goes on between UNC and Duke fans. I'm sure they don't like each other, but it's scientific fact that UofL versus UK is the most intense rivalry in college sports, and by "scientific fact" I of course mean at least one journalist's opinion. My favorite sportswriter Pat Forde is currently writing a history of the rivalry (at least that's what he told me when I approached him about writing a book together a couple years ago), and I'm sure it will document just how heated the rivalry has been and is. There are many layers, including urban/rural socio-economic factors, the 1983 Dream Game, Pitino having coached both teams, annual heated games that go down to last-second shots (2004 and 2009 for a sample), the Pitino/Calipari rivalry, and now the difference between the one-and-dones and multi-year player development coaching styles, including the 2012 Final Four game. The rivalry spills over into all other sports, the general attitude of Louisvillians and Lexingtonians toward each other, and even cancer research. What? You still don't believe me that the rivalry is intense? Ok, let me give you categorical proof. The last time that UofL and UK met in March Madness was the 2012 Final Four. Kentucky won that game and went on to win the National Championship. Louisville then won the National Championship last year. (Let me just throw that in.) In the run-up to the 2012 game, however, in Georgetown, KY, a beautiful town geographically between Louisville and Lexington, but closer to Lexington, and whose police once gave me a speeding ticket for going a mere 10 over, a 71-year old UofL fan punched a 68-year old UK fan in the face, all over who would win the game and . . . while both were hooked up to dialysis machines!!!!! Some say that's crazy. I call it dedication. Go CARDS!! Yesterday in the mail I received the first of my author's copies of Jesus against the Scribal Elite: The Origins of the Conflict, which Baker Academic will officially release next month. There is a central question that this book answers: "How did Jesus come to be on the radars of the scribal authorities in the first place?" In other words, how did Jesus go from being one of thousands of Second Temple Jews to being someone who demanded their attention? Scholars have typically given this topic very little attention, as most studies of Jesus treat the relationship between the-controversy-already-in-full-bloom and the end of Jesus' life instead. This is natural and there's nothing wrong with it, but the focus of Jesus against the Scribal Elite is instead on the very early stages of Jesus' career. When scholars have given this topic attention, they usually point to Jesus' reputation as a miracle-worker and exorcist or his particular views on the law. These are all good possibilities, but it's also worth noting that Jesus wasn't the only miracle-worker or exorcist in his time, and he certainly wasn't the only person with a non-Pharisaic or non-Sadducean view of the law. In the book, I complement these other views by proposing that a neglected factor in the inital emergence of the conflict was Jesus' debated authority as a teacher. In other words, part of the problem wasn't what he taught or how he taught, but the fact that he was teaching at all, and having some success doing it. I'm sure we'll have a giveaway here soon if Baker Academic will let us. I've enjoyed working with this press, starting with James Ernest. If you're interested in the book, you can click on the banner of the blog. I'm probably late to the party here as it was posted in 2010. Even so, this virtual tour of the Second Temple is really fun. The background music might be a bit too french-horny, but the architects of this tour do a great job of illustrating the magnificence of the Jerusalem Temple. A few weeks ago, the Huffington Post reported that the MOOC (Massive Open Online Course) for The Letters of Paul offered by Prof. Laura Nasrallah of Harvard would be "largest and most concentrated scholarly discussion of Biblical studies in history." The course is taught by Prof. Nasrallah and four PhD candidates has attracted over 20,000 registrants. I really cannot stop being baffled by this. In my experience most university professors pitch a fit over class sizes over 40! I recently had the pleasure of interviewing Laura about her experience so far. Keep in mind, she agreed to this interview in the middle of teaching this course. So she has basically ruined the "I'm a bit too busy right now" excuse for the rest of us. Seriously, the fact that she took the time to give this interview is remarkable given how many other emails she's been answering of late. I hope you find this new pedagogical model as fascinating as I do. I am grateful to Laura for her pioneering efforts and willingness to reflect on her experience for our benefit. ALD: It is my understanding that you've had over 20K students enrolled in your online Paul class. Is this true and are you crazy? LN: I’ve heard different numbers with regard to my HarvardX Early Christianity: The Letters of Paul course module: that 22K, 25K, or 28K registered. Of course, all 22-28,000 students didn’t end up taking the course module or participating! And many of those who did chose to do so on their own timing or to pick and to choose the materials they wanted to explore—that independence and ability to choose is the beauty of an online learning forum! According to the True Random generator (which never lies), the magic number is 82! This means that "Mike S." wins three lovely books from T & T Clark. Mike S., will you comment below with your email address (this will not be published). Yesterday I posted this reflection on the so-called (and perhaps misnamed) "Blow Up in Baltimore." My post basically questioned Paul Foster's conversational focus. I did also refer to Zeba Crook's paper indirectly. Zeb helpfully commented on this post regarding his thesis that memory studies leads to a new "No Quest" of Jesus research. I am quite happy that he chimed in because I think his comments reveal a great deal about our two different defaults. 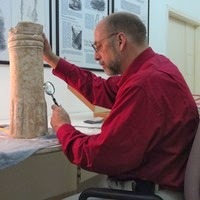 The Times of Israel is reporting that nine Dead Sea Scroll fragments have been brought to light. These are phylactery parchments. One expects that traditional Hebrew verses such as Deuteronomy 6:4f will be the extent of the contents. Even so, I will be interested to learn what the results reveal. 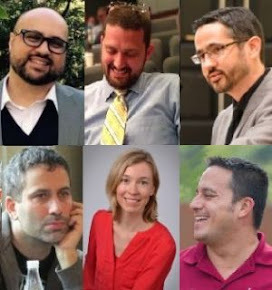 A couple months ago I posted a recording of a much-discussed recording of the papers and conversations of Paul Foster, Chris Keith, Zeba Crook, and Rafael Rodríguez. You can access the audio (albeit it faint - headphones will help) here. I was very grateful to have most of this Historical Jesus session recorded (thanks to James Crossley) because I was unable to attend. After all of the discussion of this session, I was eager to hear what I missed. But I must say that I found it ultimately disappointing. The discussion was lively, but it could have been better informed. I'm thinking specifically of the paper by Paul Foster. I don't begrudge Paul for taking a skeptical position as to the value of "memory research" for the study of ancient history. Skepticism has always been a part of the game in Jesus studies. Par for the course, really. Most disappointing is that Paul had published his paper previously and was criticized for his deficiencies. Yet many of these deficiencies remained unaddressed in his presentation. I received wonderful news today. Talented scholar, good friend, and all around mensch, Ron Herms has been named Dean of the School of Humanities, Religion and Social Sciences at Fresno Pacific University. What has been Northwest University's loss is most definitely the gain of Fresno Pacific. Very well deserved my friend! I've been waiting to get my hands on this book for a long time. So happy to hear that it is now available. Congrats to Ovidiu Creanga and Peter-Ben Smit! Congratulations to Eddie Adams at King's College, London, who has been promoted to Professor. This is richly deserved. If you haven't checked out Eddie's new monograph in LNTS--challenging the mainstream view that early Christians met almost exclusively in houses--do so here. Eddie will be a participant in our "Evil in Second Temple Judaism and Early Christianity Conference" here at St Mary's University at the end of May (information and registration here). Congratulations, Professor Adams! Boy, poor Judas! He just can't catch a break. See his latest maligning here. What do Bond, Stuckenbruck, Ehrman, Keener, Bauckham, Thatcher, Crossley, and Snodgrass have in common? Today I opened my mailbox to find a Baker Academic Catalog featuring this fine product. I must say that the roster of folks who endorse this book is quite impressive. I feel fortunate to be included in such fine company! Congrats Chris! 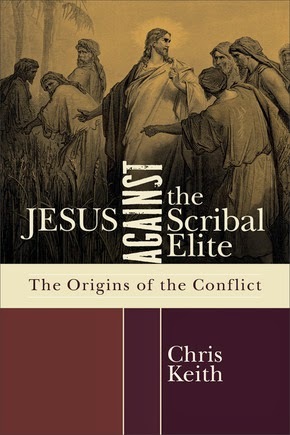 "In this book, as lucid and accessible as it is compelling, Chris Keith exposes the issues that lay at the very heart of Jesus's engagement with the scribal elite. This is written for upper-level students, but scholars too will find much to consider in this excellent treatment." 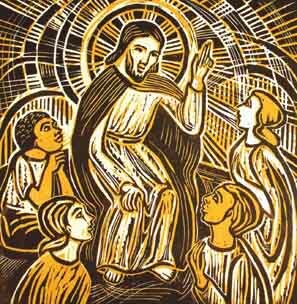 "This well-written study by Chris Keith puts Jesus as a public teacher into new light. The attention this book devotes to Jesus in relation to the social context of his day not only challenges assumptions about what it means for Jesus to be God's Messiah and Son of God but also offers a fresh way to understand what it meant for Jesus to have given instructions at all and to have debated them with his Jewish contemporaries. Readers with any interest in the historical Jesus will have a hard time putting the book down." "Chris Keith is one of the leading scholars of literacy in Christian antiquity, especially as it relates to the historical Jesus. In this new contribution, he makes his views accessible to the nonspecialist who is interested in knowing, was Jesus a well-educated teacher who could read and write? And if not, why did he fall afoul of the powerful scribes--the readers, writers, and teachers of his world--leading to his demise? Clearly written and coherently argued, this will be a book for scholar and layperson alike." In the first part of this interview, Adele discusses her most recent book, her interest in film, and her entry into New Testament studies. This is the second and final portion of my interview with her. Enjoy! ALD: You were working with E.P. Sanders during a really important time in his research. Did you have a sense then that his work would have the impact that it did? AR: It seemed pretty obvious to all of his students that Sanders’ work would have a major impact. As I mentioned, I began studying with him just at the point that he was completing the book PPJ. 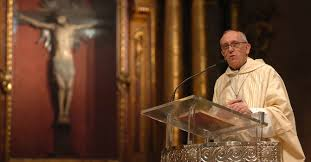 Although I was only beginning my reading of the secondary literature, it was quite clear that his approach, and his willingness to address the difficult issues within the field of NT scholarship, were new, and his ideas were articulated forcefully and persuasively. So no, I can’t say I was particularly surprised, but it was nevertheless very exciting. Working with him is truly what made me aware of how interesting and dynamic our field is. I must say I still subscribe to the “New Perspective” on Paul that Sanders’ work helped usher in, although I have read much of the recent scholarship that argues against it. ALD: Where do you think that your research will focus next? AR: At the moment I am on research leave (sabbatical) for the semester, and hope to make significant progress on my current book project, which is called The Johannine Community: A Counter History (to be published by Fortress). 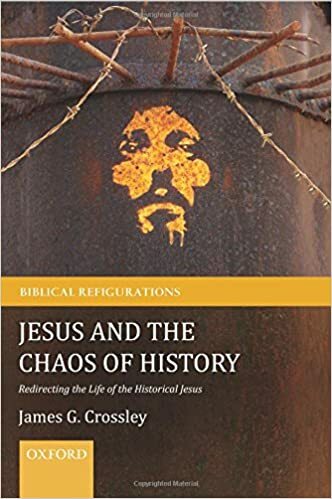 In this book I suggest that while the expulsion theory has been compelling for many, there are other ways to construct this particular community using exactly the same primary sources (Gospel and letters of John) but viewing them through a different methodological lens. I propose that we not look at the Gospel as a window to or mirror of the past history of a community but that we look at the Gospel as a rhetorical document that is intended to persuade its audiences not only of particular truths (“Jesus is the Messiah, the Son of God” - John 20:31) but also to take particular steps in terms of their community life. I am not sure yet of exactly where this will lead but I believe it will be a fruitful approach. After that, who knows? Perhaps a book on religion in Quebec cinema, as I have been watching quite a bit of French-language Quebec movies lately. Quebec cinema is fascinating because of the way in which it addresses the religious and cultural issues raised by the “Quiet Revolution” of the 1960s, a decade when Quebec society underwent a rapid social transformation from a strongly conservative Catholic society to a highly secularized society. My sincere thanks to Prof. Reinhartz for her time and generosity. I, for one, am looking forward to her work on the Johannine Community. It is bound to generate a great deal of discussion. 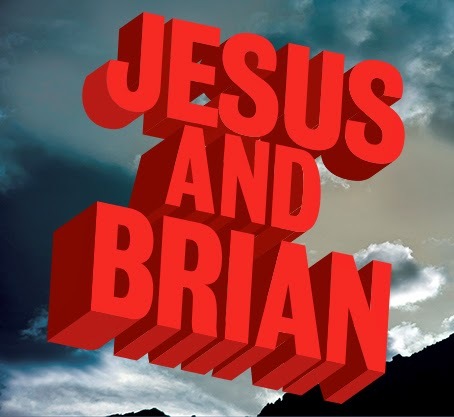 The registration page is now active for the Life of Brian Conference at King's College, London in June. I've registered and am really looking forward to it. Just look at the scholars lined up to speak: Joan Taylor, Martin Goodman, George Brooke, Richard Burridge, Bill Telford, Philip Davies, James Crossley, Helen Bond, Aaron Rosen, Steve Mason, Paula Fredriksen, James Dunn, Guy Stiebel, Katie Turner, Amy-Jill Levine, Bart Ehrman, Adele Reinhartz, and David Tollerton. There's also a mention of "mystery guests" on the program, and the word on the street is that some of the Pythons might themselves be there. You can find all the information and regristration here. I’m very pleased to be able to attach the final versions of the JBR flyers and call for papers. These have been posted to our Twitter account this morning (@degruyterTRS), and we would be very pleased to have you distribute these as widely as possible. Also, an update on the special issues planned for 2015: the Masculinities issue will be scheduled for autumn 2015, which means that the deadline for submissions is 1 September 2014. This includes both solicited and unsolicited submissions. We can discuss the timeline further in due course. Thank you all once again for your hard work in helping us get this special issue off the ground. We look forward to seeing the first issue of JBR out in a few short weeks! Research in the construction of masculinities in biblical texts is a growing field, building on earlier research into women and their roles in biblical texts and the world of the Bible. More often than not, questions regarding the construction of masculinities in biblical texts are raised precisely because of the reception of biblical texts in the construction of masculinities in contemporary contexts. This special issue of the Journal of the Bible and Its Reception aims to shed new light on this area of research. It encourages interdisciplinary analysis of the interrelationship between the reception of biblical texts in the process of the construction of masculinities in the context of diverse ethnic, cultural, and social settings as well as in relation to questions of sexuality, race, and class. Contributions will focus on the study of masculinities in scriptural texts, the construction of mascu-linities in historical and contemporary religious communities, and on the role of religion and representation of masculinities in contemporary popular culture. The editors of this special issue invite scholars to submit original article-length manuscripts (not exceeding 9,000 words including endnotes) accompanied by an abstract summarizing the argument and significance of the research (not exceeding 100 words). All articles will undergo a thorough peer-review process. Submis-sions for the Open Access “Reports from the Field” section of the journal may include reviews of print publications, art exhibitions, visual or musical perfor-mances as well as interviews, project reports, and state-of-the-field articles. Re-view essays, interviews, and reports should not exceed 1,000 words; state-of-the-field articles may be up to 7,000 words in length. The deadline for submissions is 1 September 2014. This weekend I completed the Abrahamic traditions trifecta. I was unexpectedly invited to Friday Prayers by my new friend Ahmed Younis. I was invited to Synagogue by my friend Larry Behrendt (this we had been planning). And I attended Sunday worship, as is my custom. I also attended a wonderful religious studies conference at Chapman University. I am not usually a religious studies tourist; I do not seek out such experiences on my own. But having been invited and having attended all of the above, I'm thinking more about the category of “religion” more than usual. A few months ago, a friend put this book on my radar: Before Religion: A History of a Modern Concept by Brent Nongbri. The intriguing thesis of the book is that religion is a category developed by post-Enlightenment scientists to reduce and classify the world. My friend Daniel Melligan is taking a bit of flack for dropping a few F-bombs in his novel. I write a bit about the necessity of realism in theological exploration here, here, and here. I also appreciate realism in reality. The good folks at T&T Clark are giving away not one but three Jesus books to one lucky reader of The Jesus Blog. The three books are my and Anthony's co-edited Jesus, Criteria, and the Demise of Authenticity, Helen Bond's amazing The Historical Jesus: A Guide for the Perplexed, and Maurice Casey's new anti-mythicist book Jesus: Evidence and Argument or Mythicist Myth, which I haven't read but promises to be entertaining. Below is some more information on each of the books, but here's how you can enter. 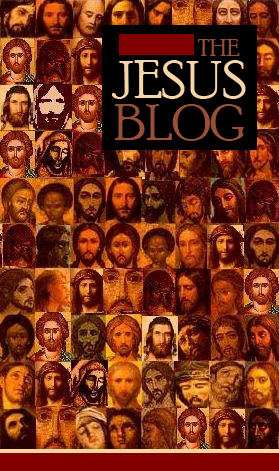 You can (1) leave a comment below, (2) sign up to follow The Jesus Blog and leave comment saying that you did, (3) share this post on Facebook, Twitter, or any other social media site and leave a comment saying you did (you can leave a comment for each form of sharing), (4) tell us in a comment your favorite book that T&T Clark has ever published, and (5) tell us in a comment your favorite guilty pleasure 80s or early-90s hair band. (Mine is no doubt Poison, with Def Leppard in a real close second.) Don't fail to leave comments, since the way we determine the winner is giving adding up the comments and letting the ol' true number generator decide; so the more comments you have, the better your chance of winning.